Acoustic barriers, which can deter fish from accessing hazardous areas, have the potential to protect valuable fish stocks. Previous studies have demonstrated that some prey fish species can detect and avoid their predators using sound cues. Such anti-predator responses may be used in acoustic barriers to hinder the movement of prey fish. 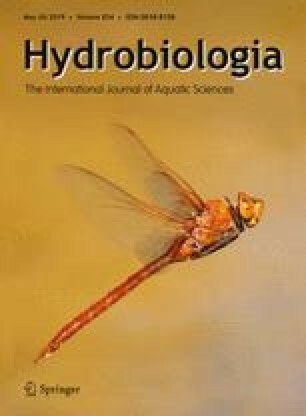 In this study, the phonotaxic responses of flower fish (Ptychobarbus kaznakovi) were investigated using a playback approach in an outdoor fiberglass tank. By alternating the speakers from which the sounds were emitted and using playbacks of pure tones (500–3000 Hz) as references, the broadband sound from a recording of the Chinese alligator Alligator sinensis hissing (0.05–5 kHz) was broadcast using underwater speakers. The numbers of fish responses and transverse swimming speeds were assessed. Only 15% of the flower fish responded to the pure tones with one response, while the fish had an average of 8.4 responses during the 5-min trials when exposed to the broadband sound (sound of the Chinese alligator hissing). The fish reacted to the broadband sound by swimming away significantly faster than they did to the pure tones. Our results suggest that the broadband sound may be an effective deterrent for repelling flower fish. This study was financially supported by the National Natural Science Foundation of China (NSFC 51179096), the Young and Middle-Aged Elitists Scientific and Technological Innovation Team Project of the Institutions of Higher Education in Hubei Province of China (No. T201703), and the Open Foundation of Engineering Research Center of Eco-environment in Three Gorges Reservoir Region, Ministry of Education, China Three Gorges University (KF2015-07, KF2015-09). We announce that the experiments complied with the current laws of People’s Republic of China.